There’s nothing better than trying out a beauty product you’ve had your eyes on for a while and absolutely loving it! There’s also nothing worse than spending your hard-earned money on a product for it to totally flop. 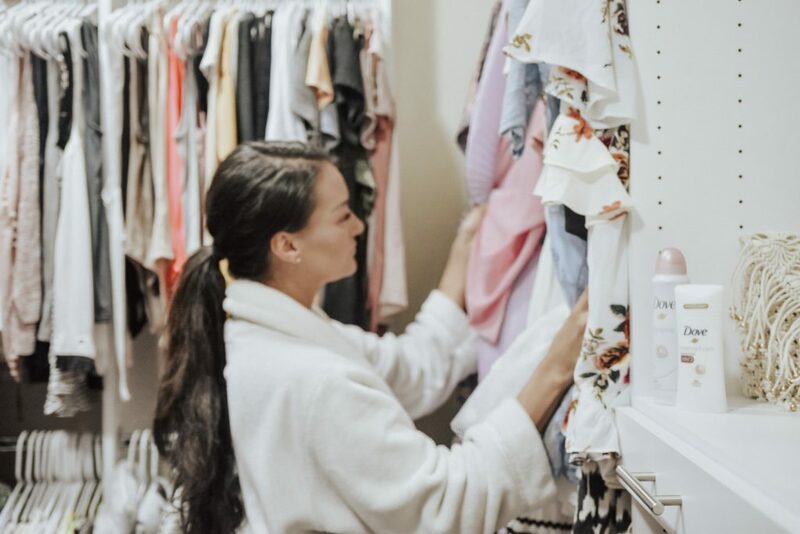 Caroline and I have done all of that research for you and these are our absolute favorite products we’ve found in the month of April! This bronzer is so affordable and so stunning. The creamy texture makes it great for a brush or even for a beauty blender. I wear shade “sunkissed” and there’s a shade for every skin tone! 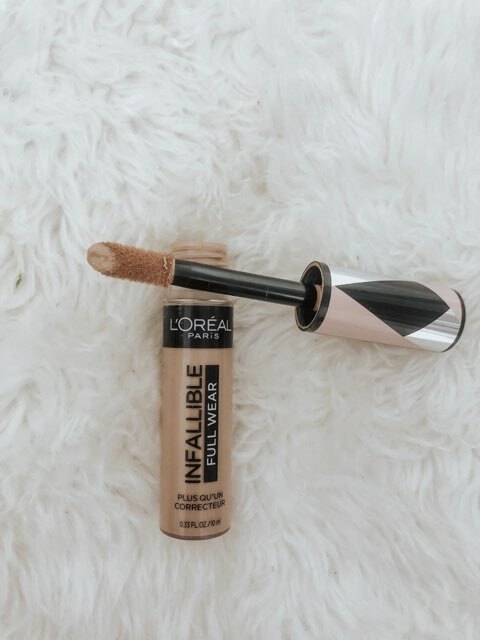 If you’re a fan of shape tape concealer, you will absolutely love Loreal’s new concealer. The buildable, full coverage is amazing and the price point is way more affordable! You barely need any product as well; just a dot goes a long way! This brand new NARS summer collection is incredible. This palette is Caroline’s favorite. 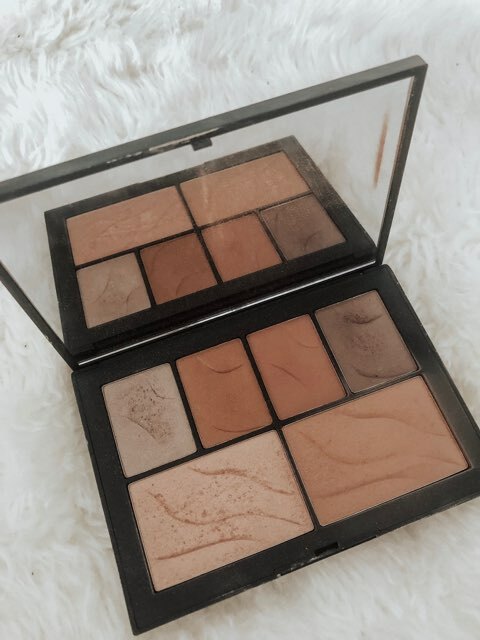 It’s perfect for bronzer and the shades can be worn as eyeshadows, bronzers and highlighters! 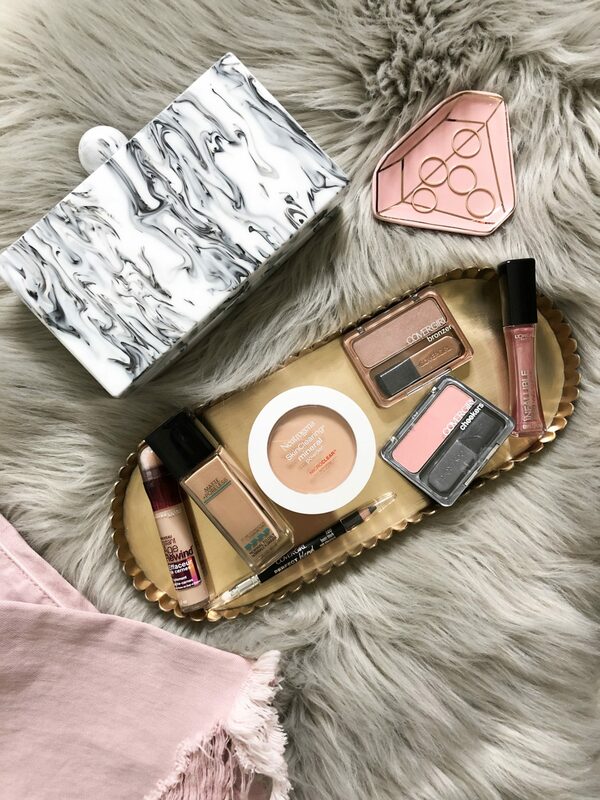 This is a great travel palette due to its 3-in-1 capabilities. The colors have a creamy texture to them and they go on so smoothly. The price point is a little expensive but it is worth every penny! I have been so into diffusing essential oils lately. They help me to relax and make the room smell amazing! This diffuser by doTERRA is my favorite. It works so well and not to mention is so pretty! This primer is Caroline’s favorite right now. After seeing Jeffree Star use it, she knew she had to have it. It’s definitely expensive, so try the trial/travel size first to see if you like it! It lasts forever because you only need a finger nail’s worth of primer for your entire face, yes, that’s correct! Designed to fill your pores and give you that airbrushed finish, this primer feels amazing on your skin and helps with creasing! According to Caroline, this dry shampoo is by far the best she has ever tried! She’s tried so many brands that just don’t work for her hair. Finally, Glam Squad comes through with an amazing formula. The translucent spray doesn’t leave your hair white and immediately gets rid of greasy roots! Even better, it’s so affordable and the packaging is adorable! I’ve been using this cream since the first trimester and let me tell you it is amazing! It feels so good and helps to prevent stretch marks. I apply this twice a day so I don’t get any stretch marks. Carl has also been using this for his super dry skin so it’s an extremely versatile product! It’s thick and goes on really smooth so that you barely need any to cover your bump. This charcoal sheet mask is truly the best I have ever used! Not only does it help to detoxify your skin, but it’s hydrating as well and leaves my skin glowing every time I use it! Use code ‘TONYAGLOW20’ for 20% off your purchase! I love a good scrunchie and love that they’re back in style! Kaitlyn Bristowe’s Dew Edit scrunchies are my newfound fave. 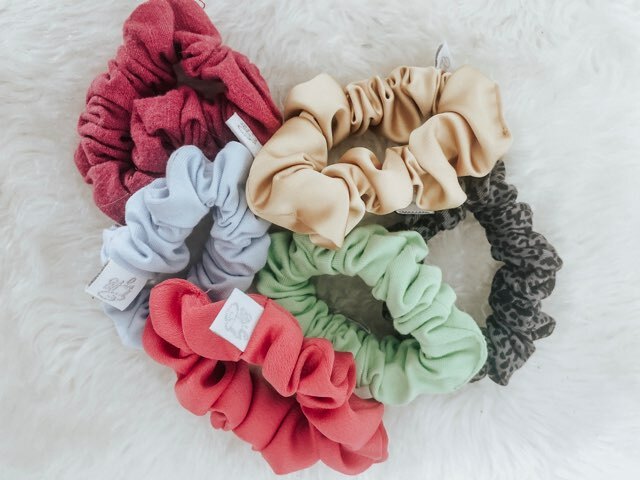 I have the “minis” which are regular scrunchies with a little less “floof.” They come in packs of three and are such amazing quality and don’t snap like other drug store scrunchies I’ve owned. I have the “glow uppers” and the “shade throwers” both of which are in stock! 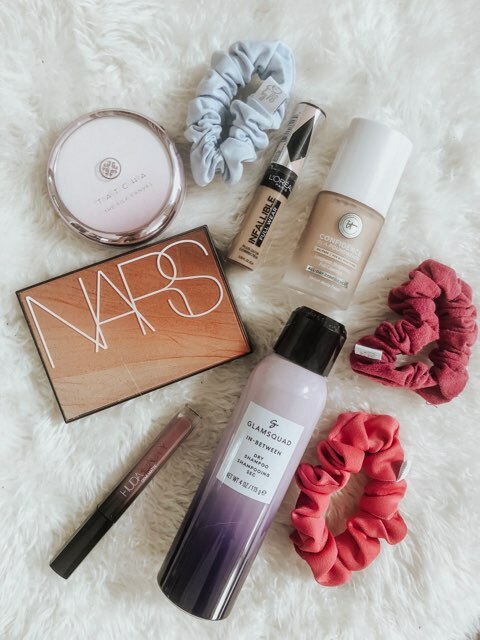 Which beauty product are you adding to your cart? I’d love to know in the comments below! This post is sponsored by Clarins USA, however, all thoughts and opinions are my own. When it comes to brand loyalty, I try to remain as transparent as possible. I am loyal to brands that I use consistently and brands that I love! Clarins is one of those brands. I first started using Clarins’ Double Serum one year and six months ago. I wrote a first impressions style post followed up by my results one year later. 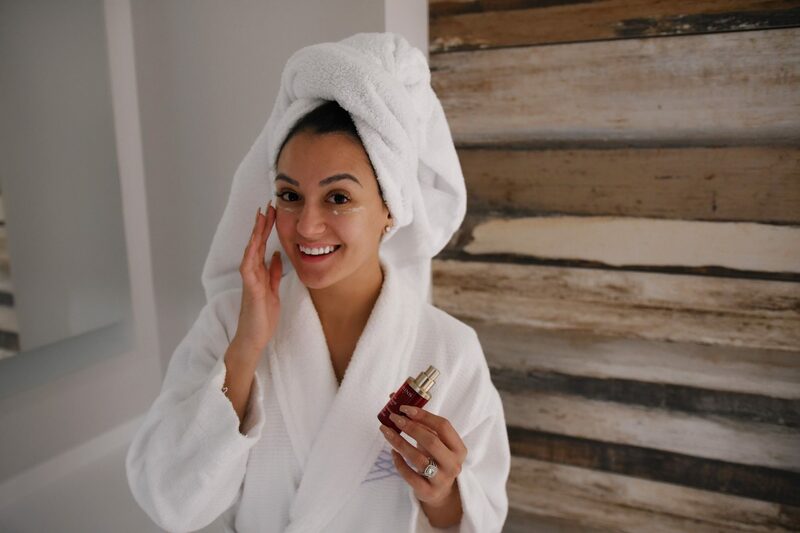 Now, I’ve been using Clarins’ double serum for an additional six months and cannot wait to share some more results with you all! 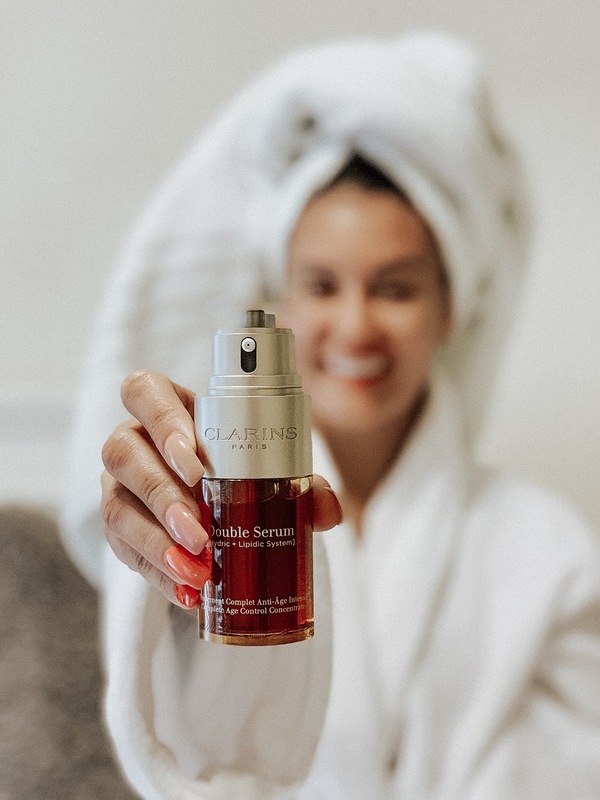 If you do not know, Clarins Double Serum is a plant-based serum that improves your skin’s texture, boosts radiance, firms, tightens pores and even skin tone while fighting wrinkles for younger looking skin. The Serum promises results in just 7 days! I know, I was skeptical at first too but I can attest to how well this product works. I have always been honest with you all when it comes to problems I have with my skin. Just like most, it’s not perfect! 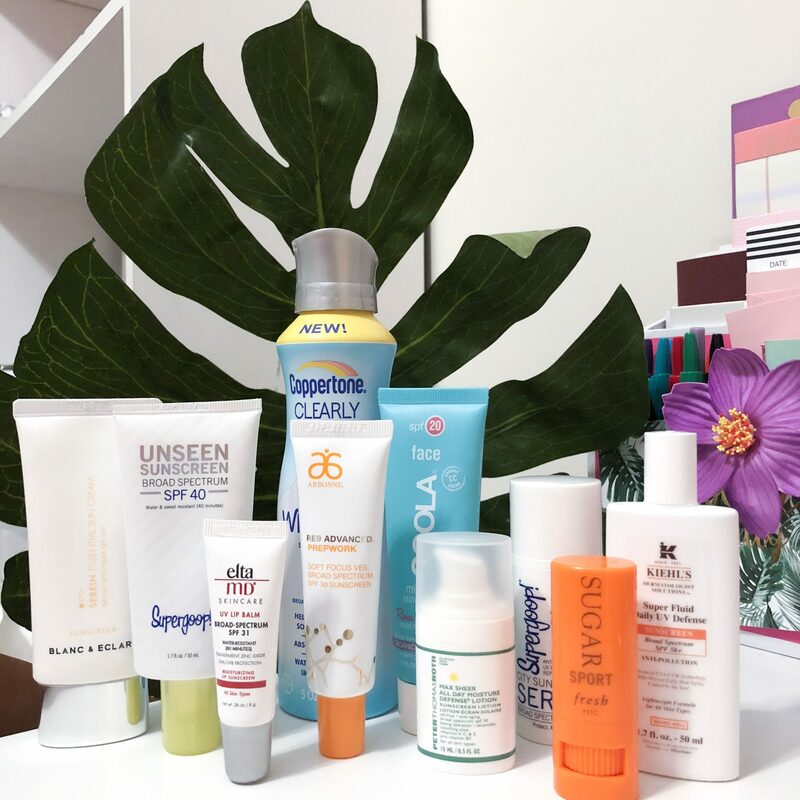 However, some have more insecurities than others when it comes to skin care and that’s me, which is why I take skincare so much more seriously. Since I believe so strongly in skincare, I make sure I am not using any product that includes harsh chemicals. 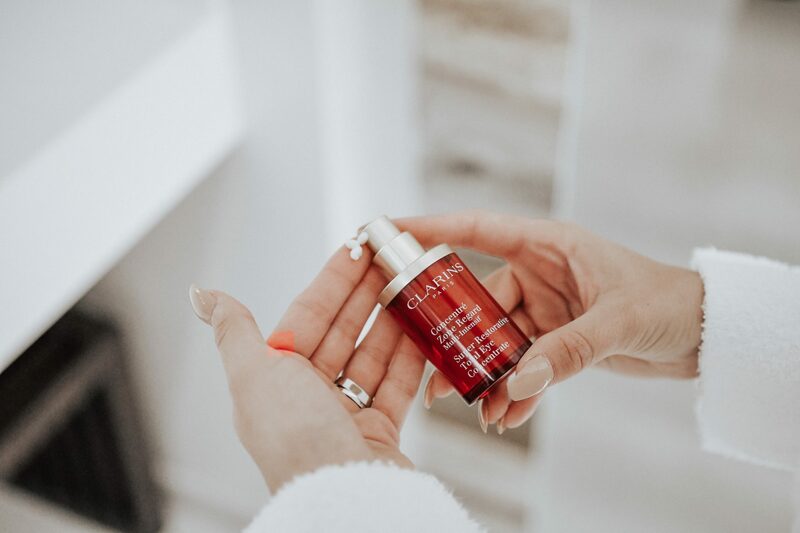 Clarins Double Serum includes 21 different skin nourishing plant extracts that are great for your body inside and out so you never have to worry about the ingredients inside! Using Clarins Double Serum the past year and a half I have noticed an improvement in my skin’s natural skin tone. 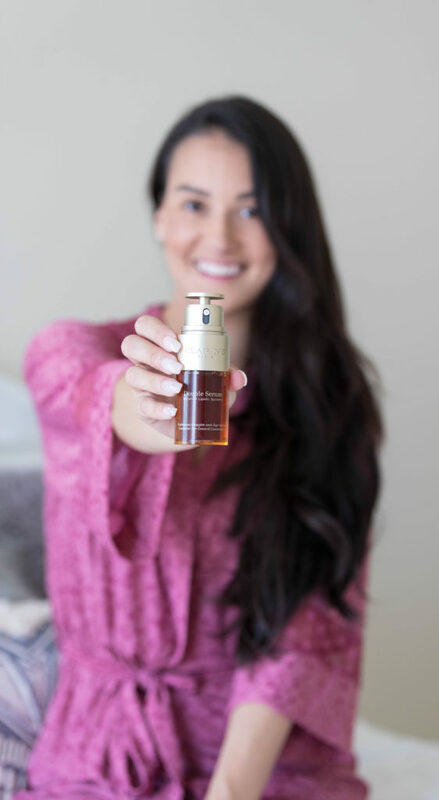 I have naturally red skin and Clarins Double Serum helped me tone down my redness and bring it back to its natural color! With the redness toned down, I have also noticed how much more radiant my skin is. Restoring my skin’s natural oils, the Serum works with my skin and not against it. Additionally, Clarins Double Serum is a seamless addition to any skin care routine and fit for any age and skin type! Just put it on right after cleansing and before moisturizing day and night! If you have yet to try Clarins Double Serum, this is the sign you’ve been waiting for! I love my skin now and attribute it to Clarins Double Serum. Say goodbye to puffy, tired eyes with Clarins! This time of year, when it gets dark so early, I feel as if I’m tired ALL of the time! Can anyone else relate? My skin gets drier and tired looking, my under eyes get puffy from allergy season, accompanied with dark circles from feeling tired all of the time. Luckily, I found a product that has helped with ALL of that! Clarins’ new Super Restorative Total Eye Concentrate is a plant-powered, all-in one, sulfate free formula that targets puffiness, dark under eye circles, gives your eyelids a more “lifted” appearance, and even helps to smooth fine lines and wrinkles, leaving your under eyes looking younger and brighter looking. What more could you ask for in an under-eye cream?! 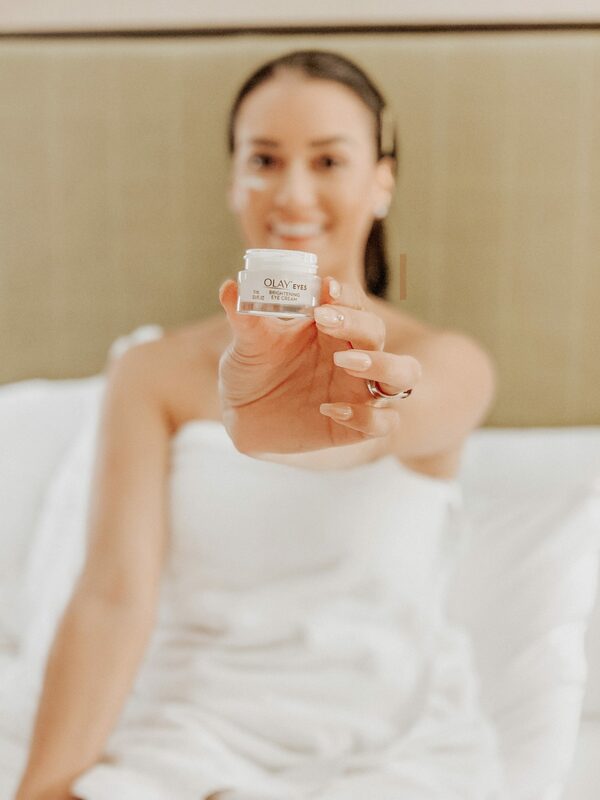 The all-natural ingredients of, Organic Harungana Extract, Cassie Flower Wax, Tetrapeptide and Albizia work together to improve the appearance of your under eyes in as little as seven days. The Organic Harungana Extract helps to restore the appearance of density, while the Tetrapeptide creates a more “lifted” look. To combat the puffiness, the Cassie Flower Wax smooths the appearance of the under eye area while the Albizia works to combat dark circles and puffiness. 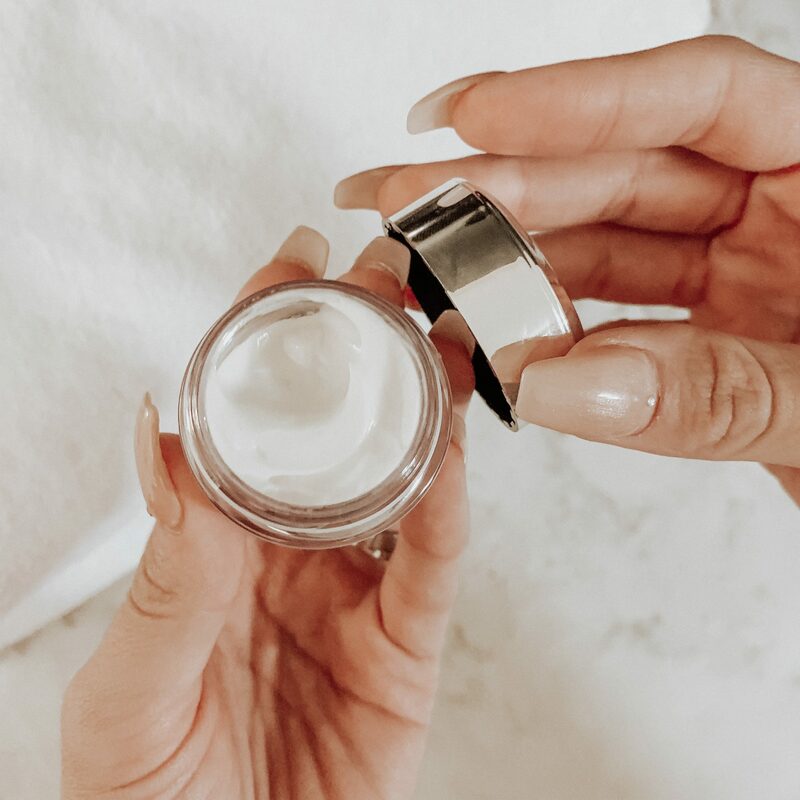 To apply, warm the product between your finger tips and gently press under your eyes moving from the inner corner outward, from temple to temple. Repeat again above your eyes on the browbone and that’s it! This product is perfect for anyone with sensitive skin, combination skin or oily skin and should be applied morning and night for maximum results. I’m so glad I found a product that targets all of my under eye insecurities this time of year and leaves me feeling confident to take on the day! Say goodbye to tired eyes with Olay’s NEW Brightening Eye Cream. 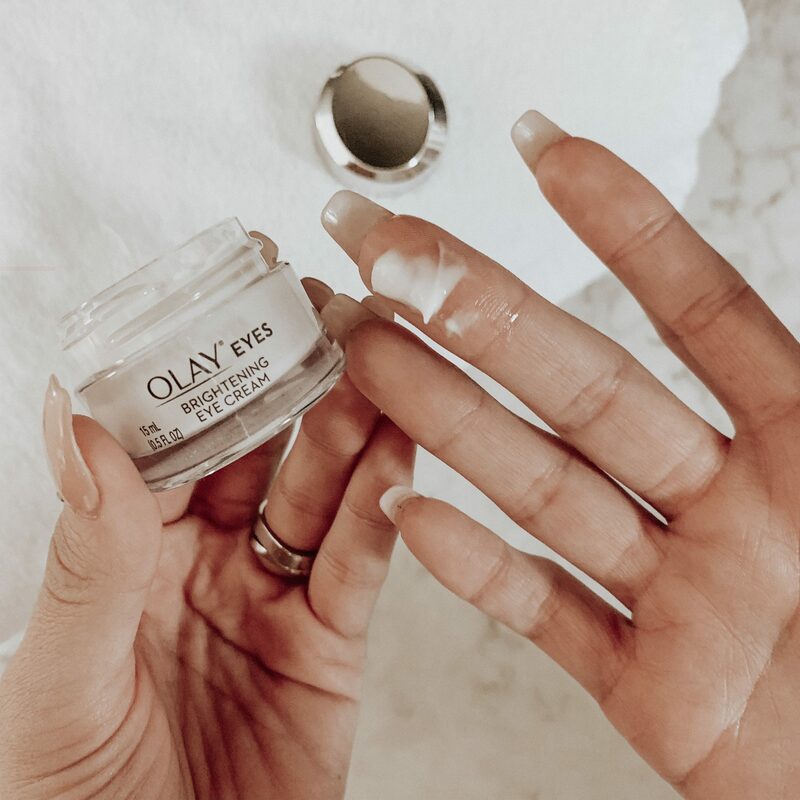 This blog post is sponsored by Olay, however, all thoughts and opinions are my own. There’s nothing worse than hearing, “you look tired!” Maybe you got a full eight hours of sleep and you’re not even tired, dark under eye circles just run in your family! Or you packed on your favorite concealer and not even that can hide the fact that you pulled an all-nighter for work. Introducing my new skincare holy grail for under eye circles: Olay’s NEW Brightening Eye Cream! I have been exhausted from traveling so much lately, especially to different time zones which contributes to my lack of sleep and therefore, my dark under eye circles. Sometimes, my favorite concealer just doesn’t cut it, so I was thrilled to find a product that worked for me. In just a week, it’s really helped me look not so tired from being on the go so much! 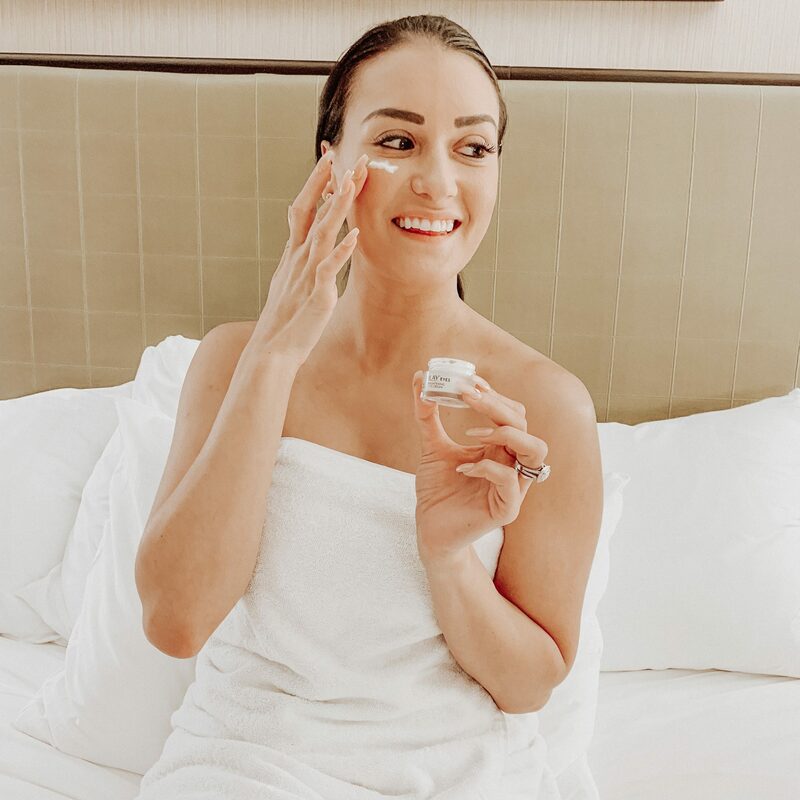 The lightweight formula, with Vitamin C, Niacinamide, Vitamin B3, Pro-Vitamin B5, and Vitamin E anti-oxidant complex and Optic Brighteners hydrate your skin and smooth and illuminate it, so you can fool everyone else that you’re well rested, even if you’re not. In addition to my lack of sleep on occasion, my olive skin tone can leave the areas under my eyes darker than usual. Olay’s new Brightening Eye Cream has really helped combat the darkness under my eyes, even if I’m not suffering from lack of sleep. I put this cream on under my eyes in conjunction with my regular skincare routine. It fits into my normal routine so seamlessly that it was basically fool-proof to use. 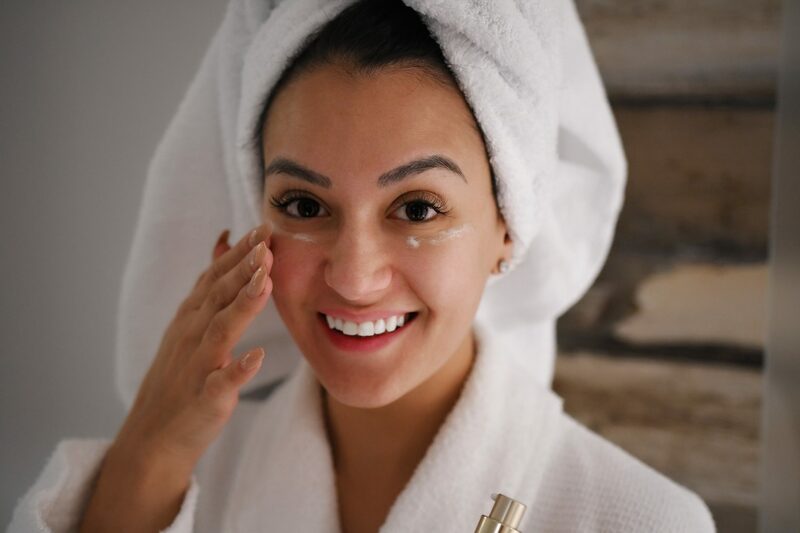 In the morning following my cleansing and moisturizing, I put a small dab of Olay’s Brightening Eye Cream under my eyes and gently massage it into my skin in little upwards motions. The difference is almost instant! I then apply my makeup for the day if I’m going out and no one would ever guess I didn’t sleep well last night. 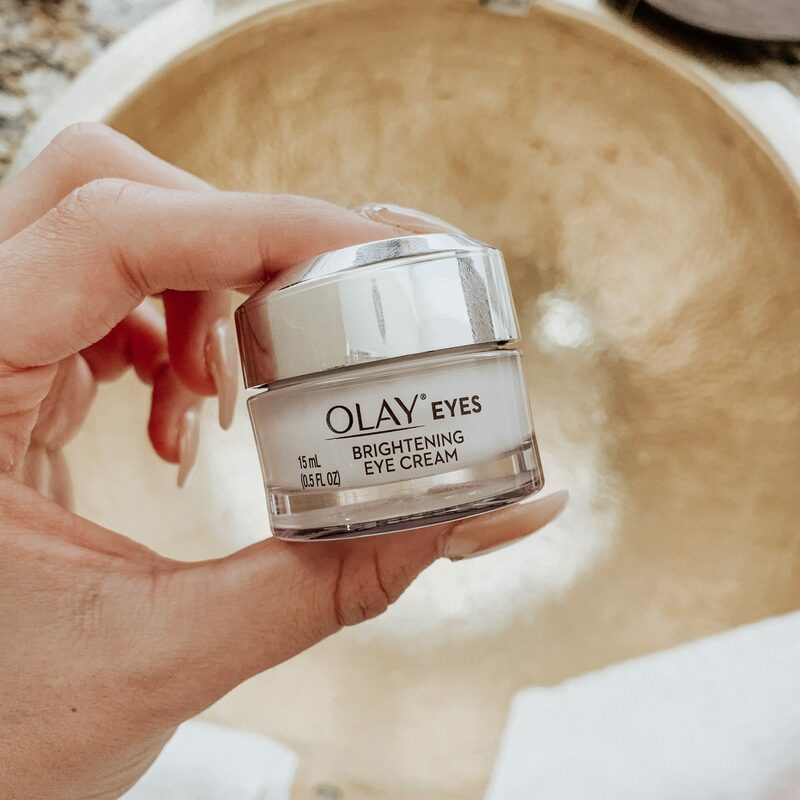 You can find the Olay Brightening Eye Cream at CVS or here! Are you dealing with bad under eye circles? Let me know in the comments below! A full Lancome look with their NEW 3-in-1 all over color eyes, lips and cheek product!! 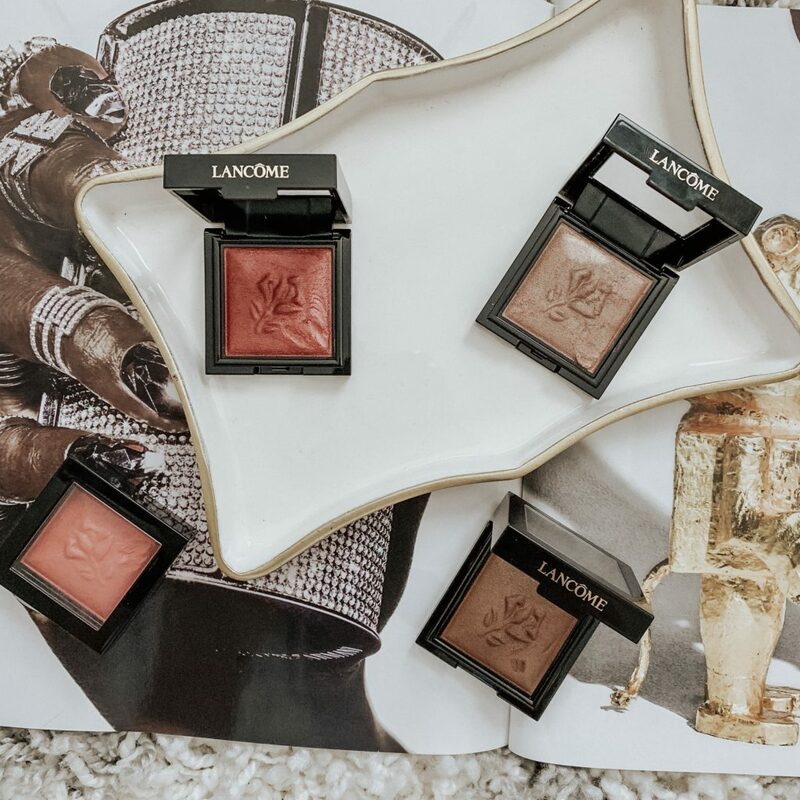 This post is sponsored by #Lancome, however all thoughts and opinions are my own. 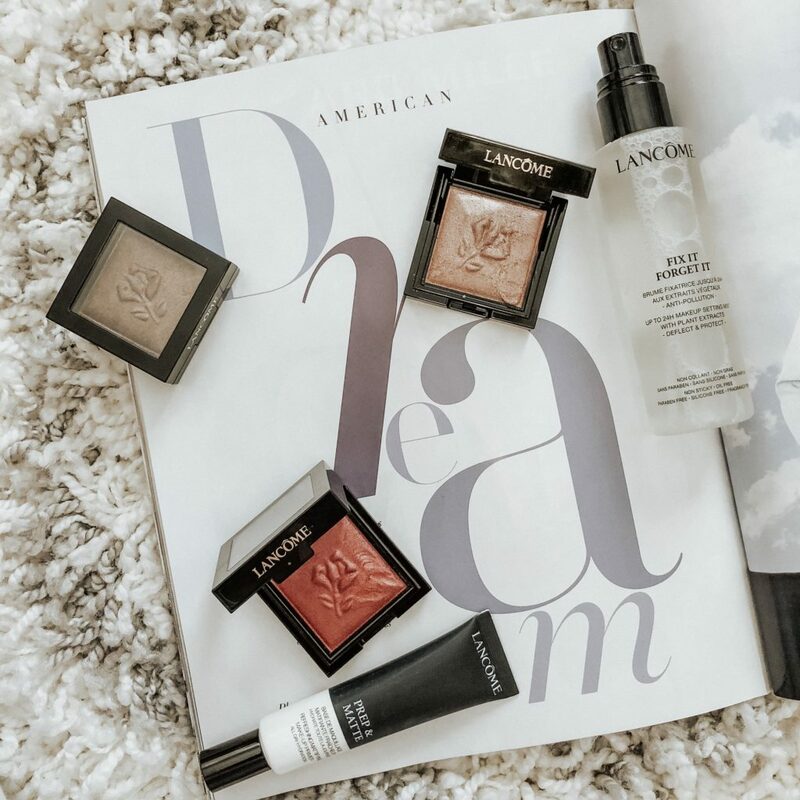 Lancôme has always been one of my favorite makeup brands. Their quality products seem to last all day and I always get compliments on my makeup whenever I’m wearing Lancôme! So when they released their new 3-in-1 all over color eyes, lips and cheek I couldn’t wait to try it! The 3-in-1 cream-to-powder tint can be applied all over your face from eyes, cheeks and lips to give you a coveted afterglow effect with an oil-free color. This cushiony, soft texture glides seamlessly onto your skin providing a subtle flush of color or a buildable rush of color. Before using the products, I first primed my skin with Lancôme’s prep and matte primer as I prefer my makeup looks to be mattified and this primer is perfect for that. 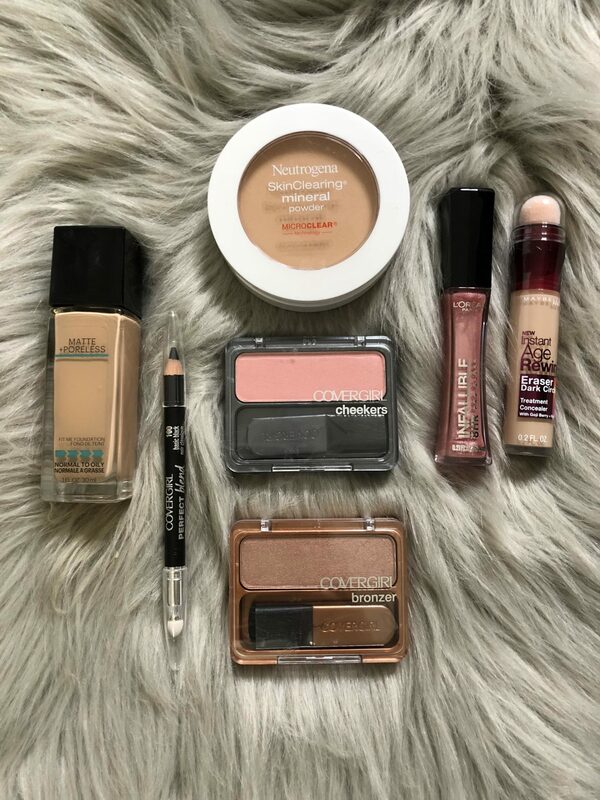 One thing I love about the 3-in-1 cream-to-powder product is how “fool-proof” it is that you can use your fingers or your favorite shadow, blush or lip brush! I first used the product on my eyes with shades Á La Mode and Éclat. Both of these colors were absolutely gorgeous on my eyes. The brown with pink-gold pearl notes in the Á La Mode mixed with the Éclat champagne with gold pearls made my eyes pop and accentuated the brown in my eyes. Forget anyone who says brown eyes don’t pop because these two colors proved them wrong! For my cheeks, I used the shade Petit Bisou that is a light pink with purple pearls. I usually don’t wear blush but this is now my go to color as it matched perfectly with my olive skin tone. I used a blush brush for this look but you can also use your fingers to smooth the product onto the apples of your cheeks. As for lips, I blended the Petit Bisou that I used on my cheeks with the Haute Couture shade that is a burgundy with blue undertones. 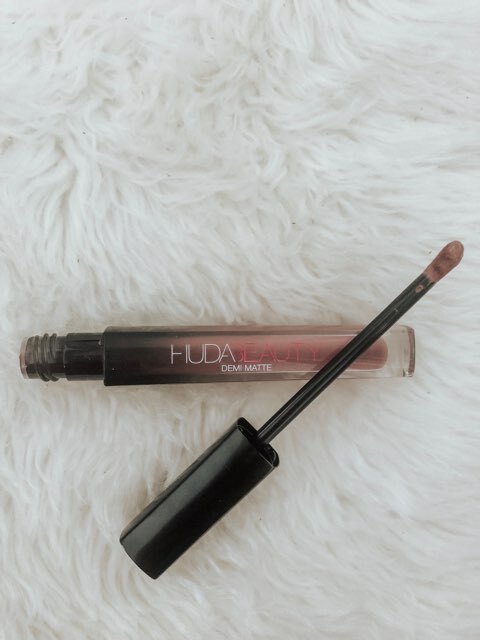 The two colors blended seamlessly giving my lips a red-pinky glow that is perfect for fall! I again used a brush but you can use your fingers too! To finish off my look, I used Lancôme’s Fix it Forget it makeup setting spray and let me tell you it is my new favorite! 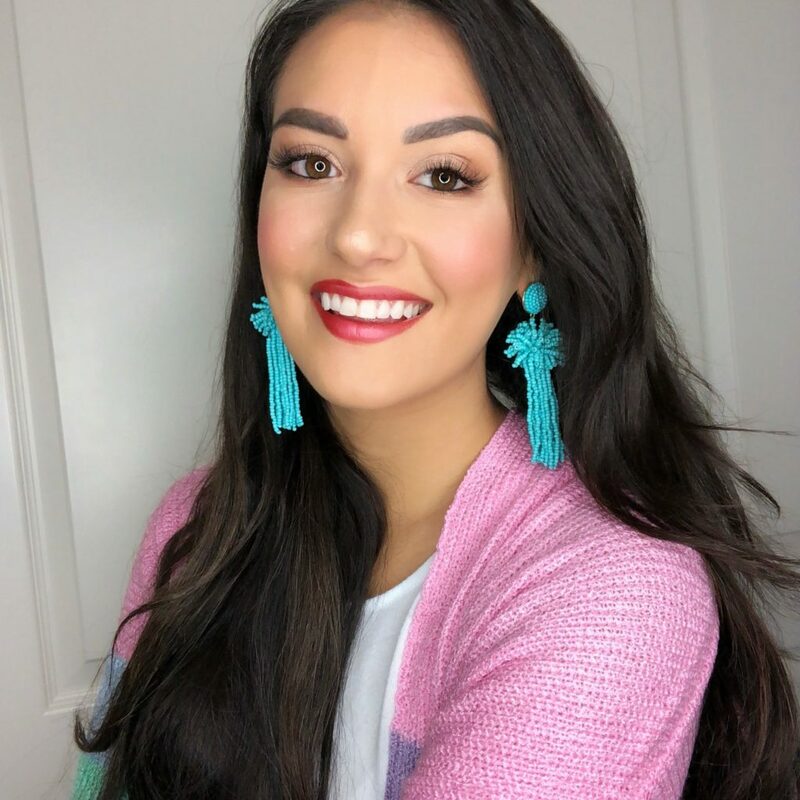 It helped my makeup stay on all day long in the summer heat while I ran around finishing up errands before my wedding! For just $22, you get a 3-in-1 product that helps you create a gorgeous look that you can blend together and experiment with their 10 different buildable shades with three matte, three sparkle and four metallic shades. I would 10/10 recommend Lancôme’s new 3-in-1 all over color eyes, lips and cheek exclusively on www.Lancôme.com! How to feel confident wearing sleeveless styles! Now that summer is coming to an end, I’m in the process of transitioning my wardrobe to fall! 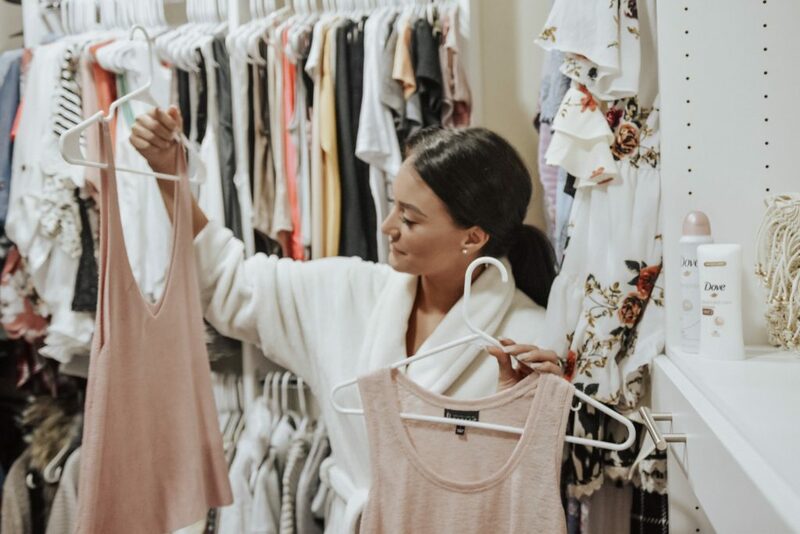 Fall fashion is my favorite and one thing I love about it is how I can bring some of my favorite sleeveless styles into the fall with layering. Thanks to Dove, I feel confident wearing my favorite sleeveless styles. When I was a teenager, my Mom first introduced me to Dove deodorant and I never looked back. My favorite sleeveless style to wear is a halter or strapless dress or jumpsuit. They have been my go-to summer styles and with the right color combinations, can easily be worn during the early fall months as well. Another favorite of mine are athleisure tank tops. I wear workout tanks on a regular basis around the house, running errands or working out. I always feel so confident knowing that when I’m running around getting things down, I won’t have embarrassing pit stains thanks to the 48-hour antiperspirant! 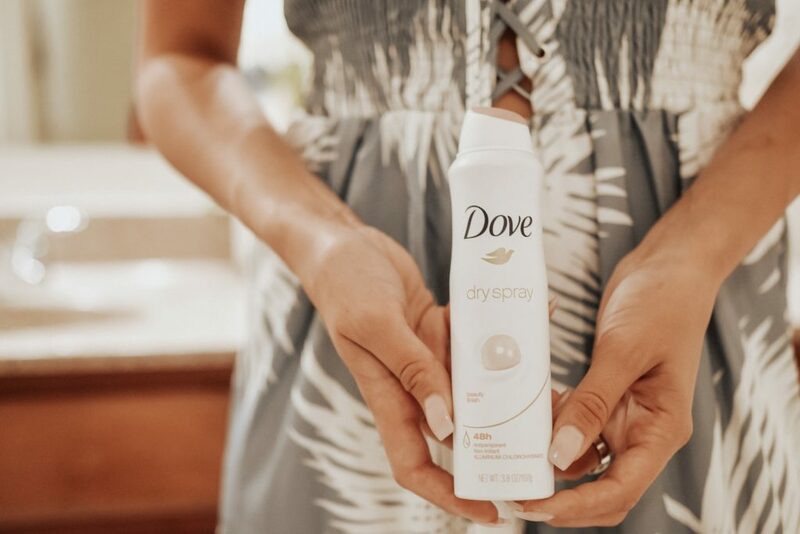 When I’m on the go, I like to use the Dove Dry Spray. 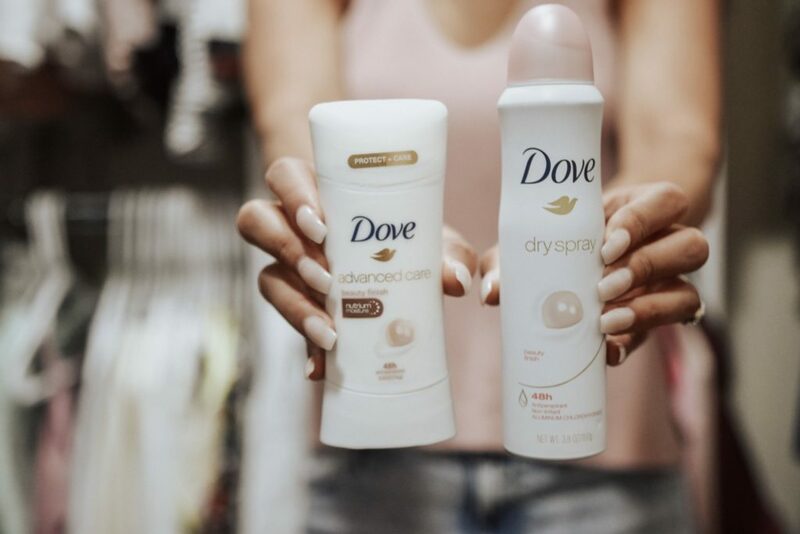 It provides 48-hours of odor and wetness protection with all the care of Dove, while going on instantly dry, so I can apply on the go without waiting for it to dry so I can throw on a top and go! Thanks Dove, for always being there for my underarms and keeping me confident in the styles that I love! 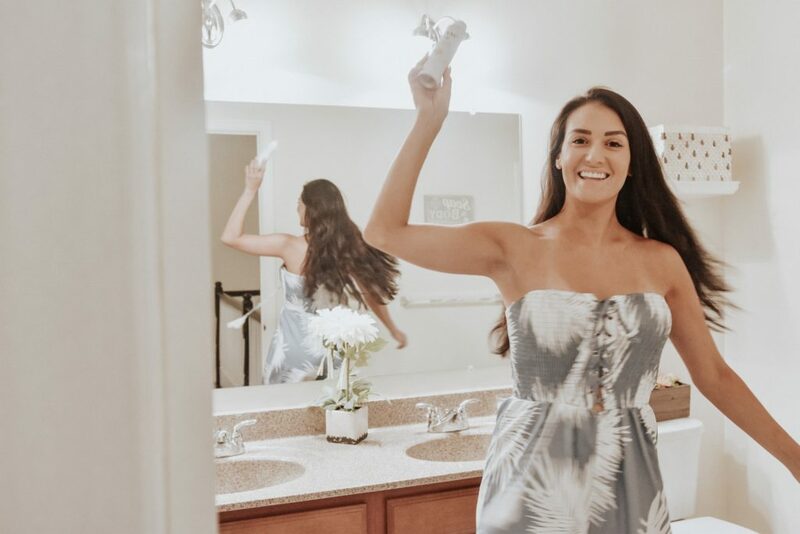 Follow along with Dove to learn more about their new products and how they can benefit your hygiene as much as they’ve benefitted mine! This post is sponsored by SkinCeuticals. However, all thoughts and opinions are my own. You all know how much of a skincare junkie I am. I truly believe in being nice to your skin and your skin will be nice to you! 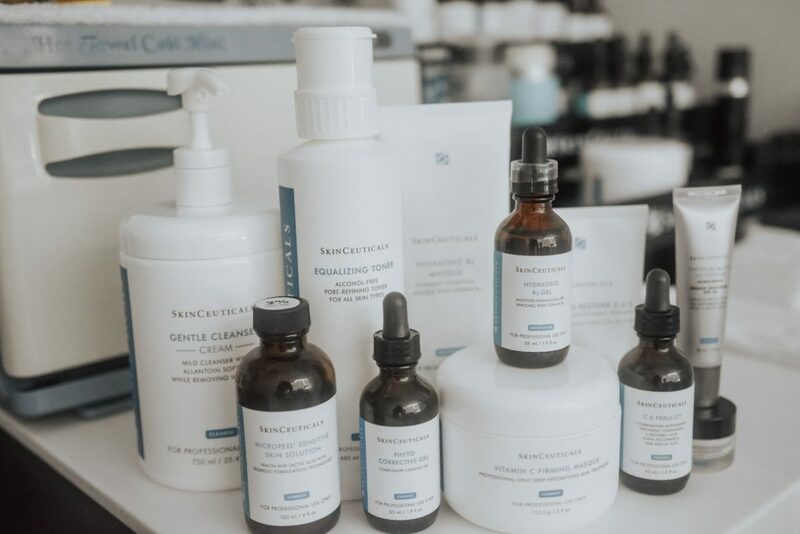 So when SkinCeuticals reached out to me to try out the Triple Lipid Restorative Facial at NOVA Plastic Surgery using all SkinCeuticals products, I was so in! 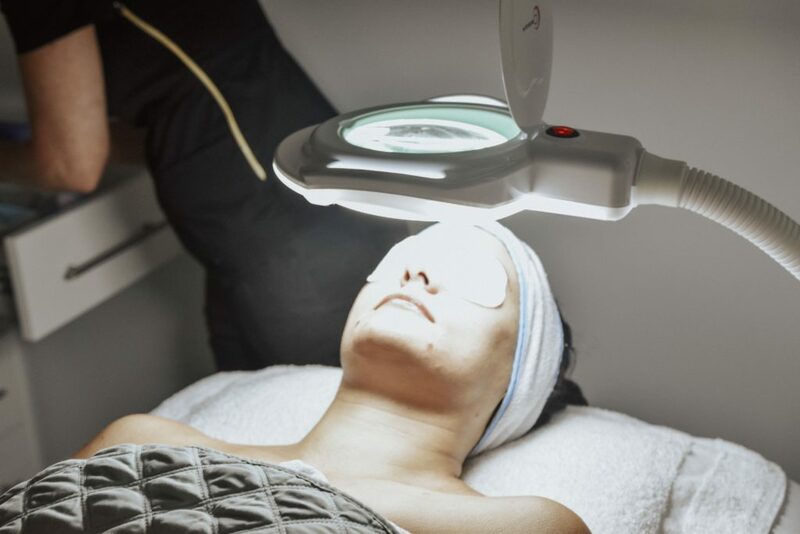 From the moment I walked in NOVA Plastic Surgery’s office, I was blown away. It truly felt like an upscale spa with marble countertops and pretty pink sofas. I met Dani who first asked me about my skincare routine, what type of skin I have and any problems with my skin that I wanted to address. As I’ve mentioned in previous blog posts, I always try to be honest with you all when it comes to my skin, and Dani was no exception! 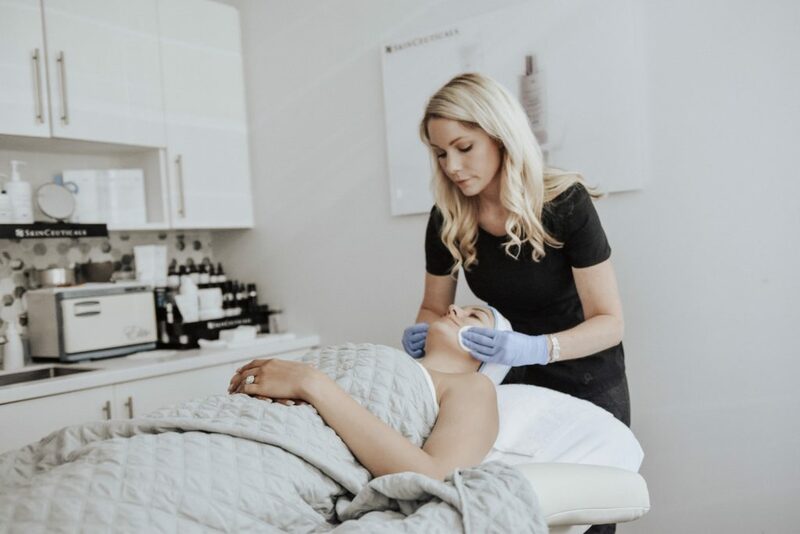 She immediately made me feel comfortable sharing my insecurities and recommended the perfect facial for my skin type and to address the problem areas I felt I had with my skin. First, Dani used a gentle cleanser followed by an equalizing toner. Both instantly made my skin feel so much better and prepped my skin for the micro sensitive peel nicknamed the “red carpet peel” as celebrities often get this peel the day of an event as it leaves your skin with a healthy glow that doesn’t leave your skin feeling sensitive. The 2% lactic acid present in the micro sensitive peel exfoliates your skin while simultaneously leaving it beautiful and glowing. Caroline was taking pictures throughout the facial and immediately said how much better my skin looked already! After the peel, Dani used steam and did some extractions to help relieve my skin of some of the cyst-like acne on my chin. 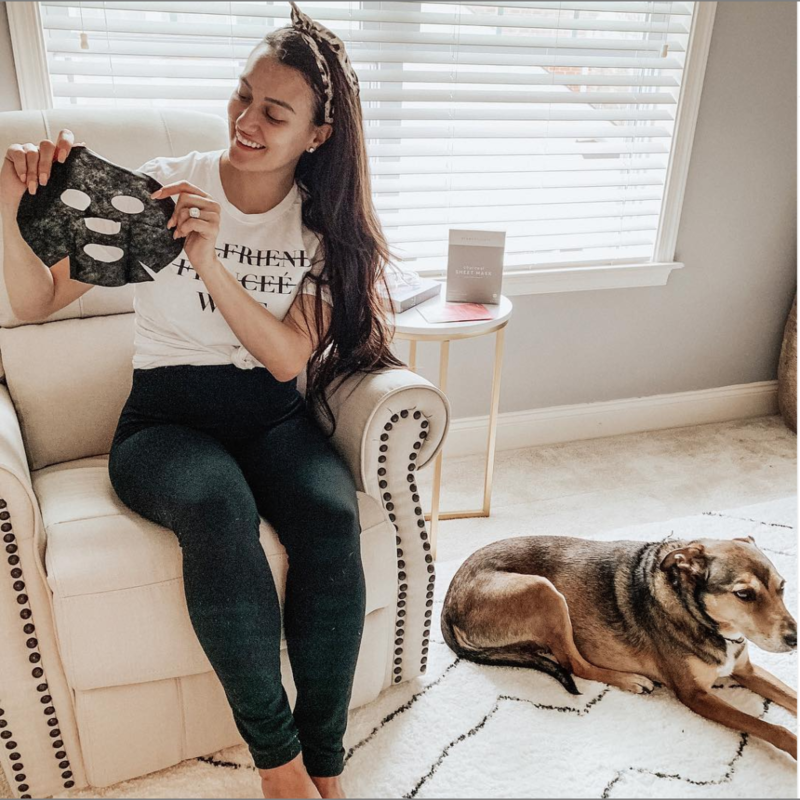 When acne is present on the chin, it is in response to stress, which I have been inundated with lately from traveling, planning my wedding and managing my business! Needless to say, my skin was dying for a little TLC. 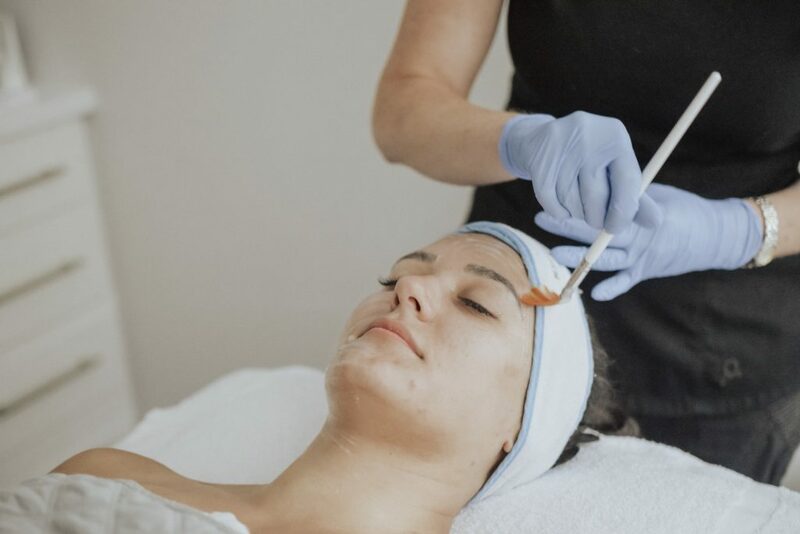 Extractions can often leave your face red and stressed out, so Dani then applied a green serum called a Phyto Corrective Gel that helps to sanitize and soothe skin after extractions. Next was my favorite part, the face mask! Dani used the Hydrating B5 Masque with Triple-Lipid Restore 2:4:2. This mask also includes vitamin C and a hydrating serum to restore your skin and its natural firmness. It left my skin feeling so good and there was no burning sensation which is always a plus! 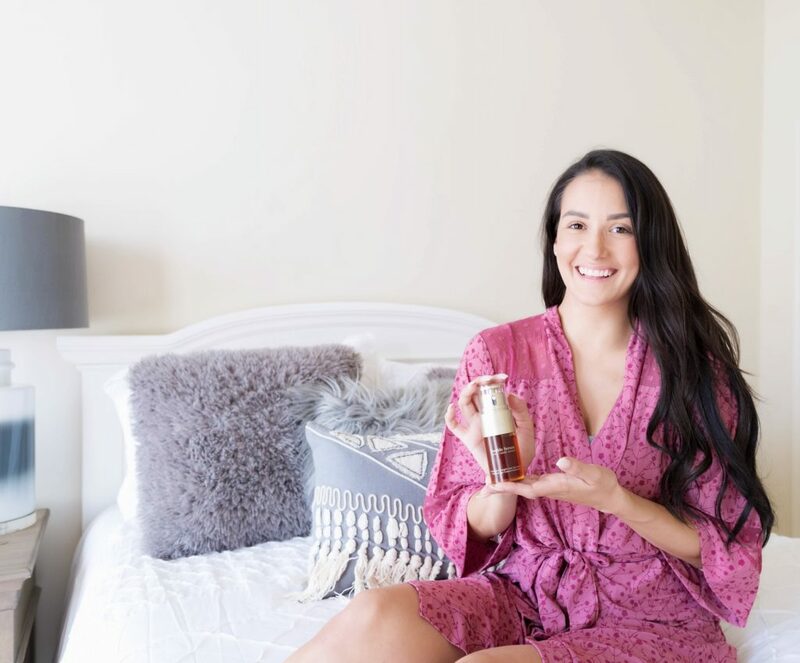 Dani then used the equalizing toner followed by the CE Ferulic which included more Vitamin C, a necessary vitamin to keep your skin happy and healthy! Next, Dani used the H.A. Intensifier. 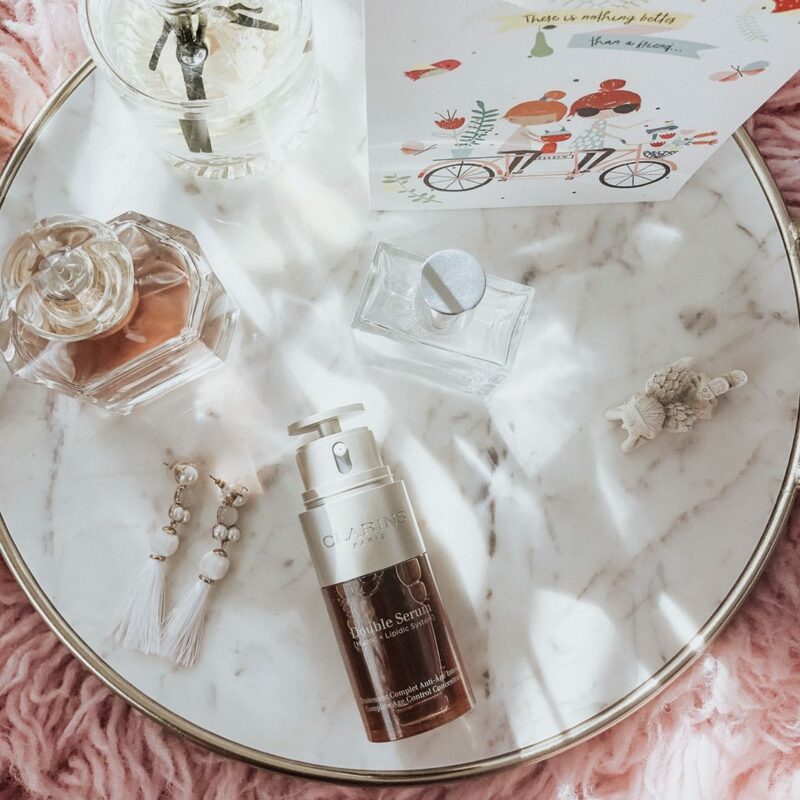 Many skin products contain hyaluronic acid, but this intensifier includes 30% more to leave your skin moisturized and plump to restore its healthy glow! To finish up the best facial I have ever had, Dani then used the Triple Lipid Restore 2:4:2 followed by the A.G.E. 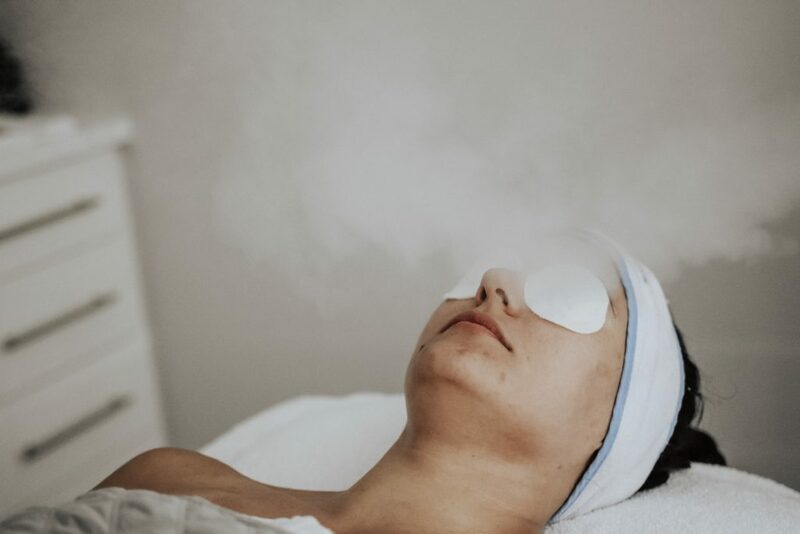 eye complex to combat under eye bags that we all seem to suffer from. Lastly, Dani stressed the importance of SPF. 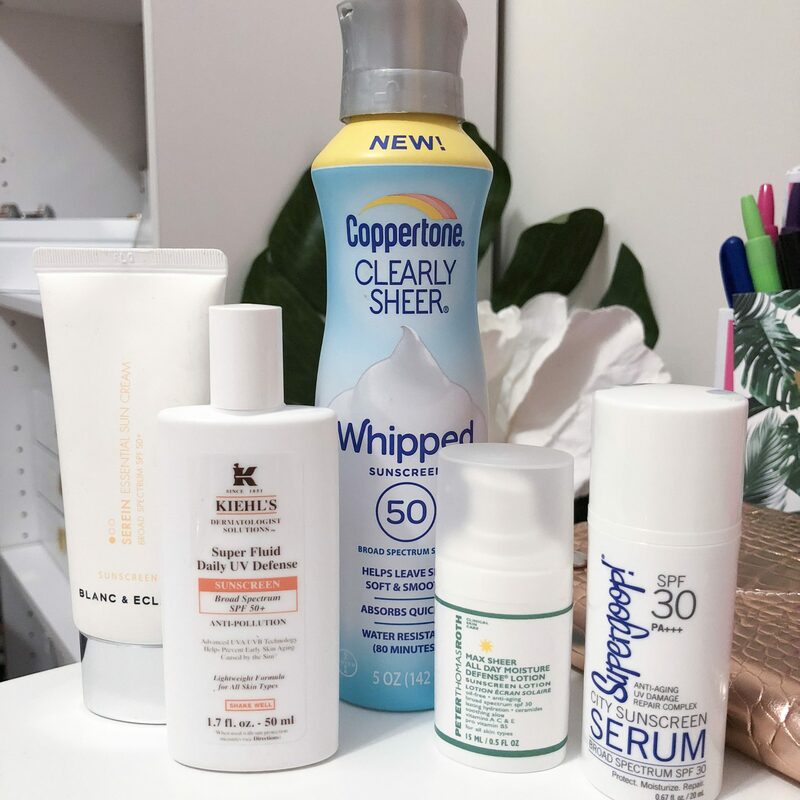 No matter the season or weather, it is so important to use an SPF every day to protect your skin from the sun’s harmful rays. The Physical Matte UV Defense has SPF 50 and a tint to it that’s perfect for summer weather when you don’t want to wear any makeup! 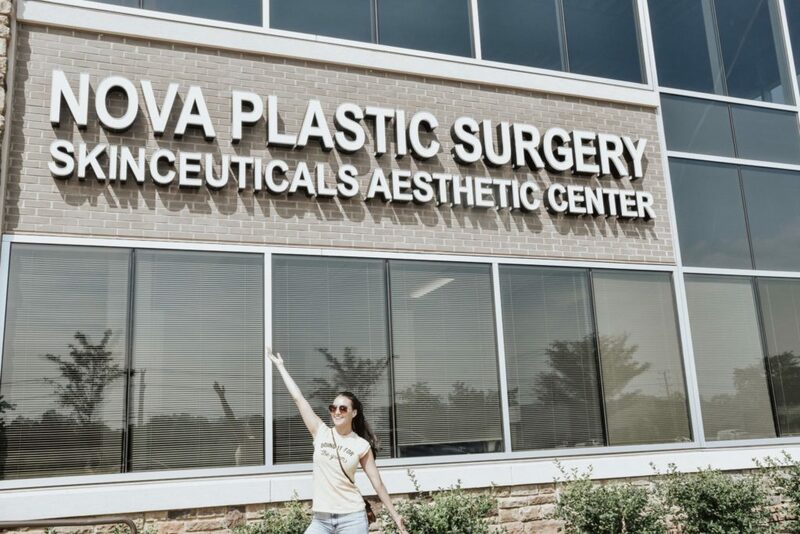 I walked out of NOVA Plastic Surgery feeling like a new woman! All of the acne on my chin that I was having so many issues with was now completely flat and no longer inflamed. You can truly see the drastic difference in my skin in the before and after pictures I took. Skincare is so important. Getting one facial won’t solve all of your problems, so it’s important to treat your body right with a healthy diet, lots of water, and establish an AM and PM skincare routine. Everyone has their own imperfections. I am so happy I found a place that not only educates you on your skin and the products you’re putting on it, but doesn’t make you feel bad about your skin either! Triple Lipid Restorative Facial for the win!! 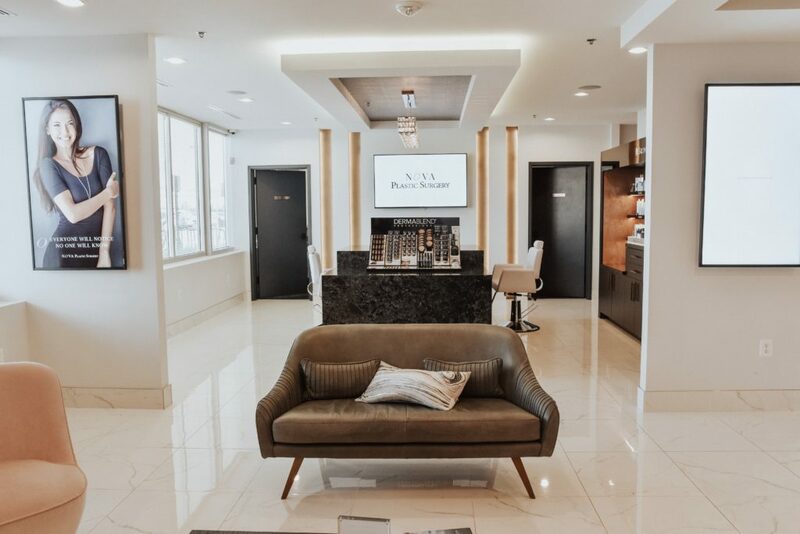 If you’re local to the Washington, D.C. and Northern Virginia area, check out NOVA Plastic Surgery! Mention that Tonya Michelle sent you. They are currently having their one-year anniversary event too!! 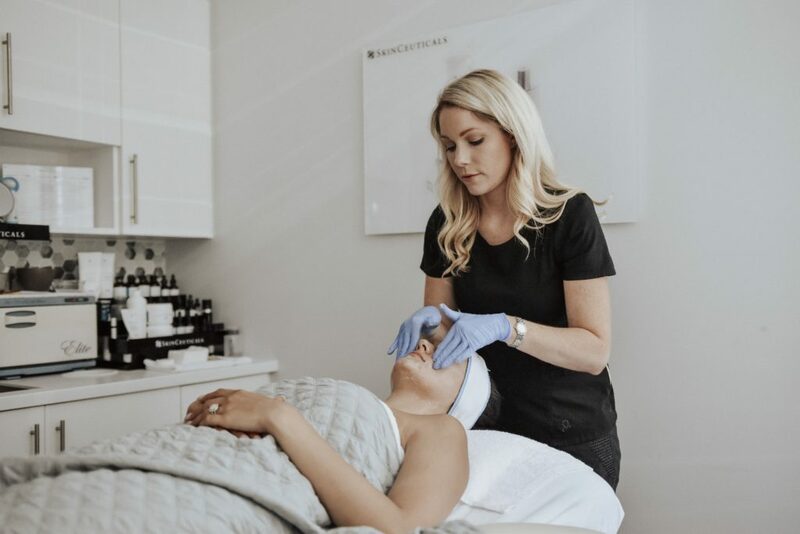 If you’re not nearby, find a local spa or office near you that offers SkinCeuticals products. Your skin will thank you! Why I’ve chosen to use Clarins Double Serum for over a year! This post is sponsored by Clarins, however, all thoughts and opinions are my own. 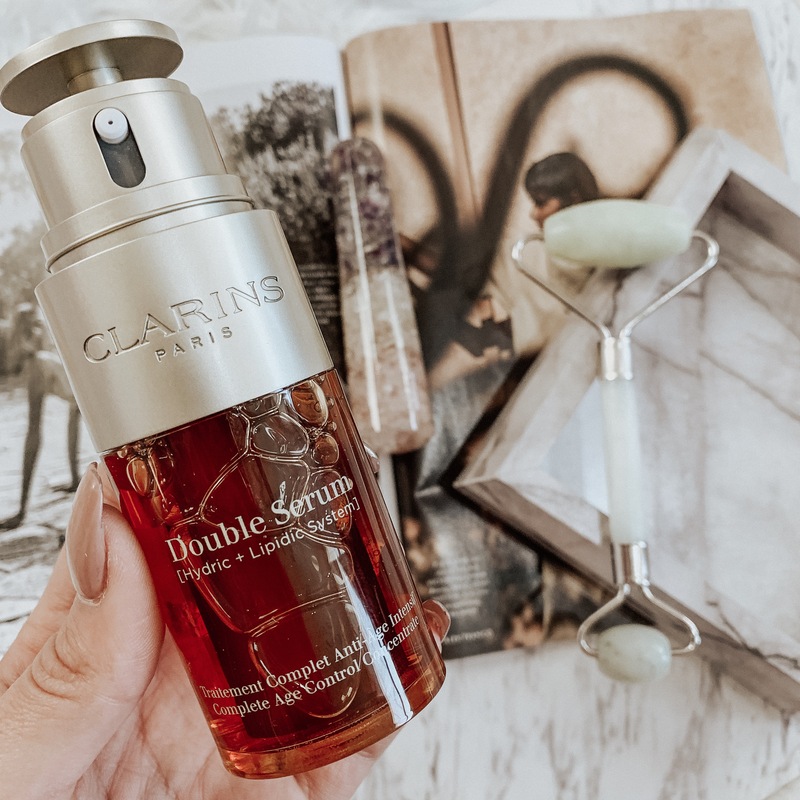 I’ve partnered with Clarins to bring you my results of using #MyDoubleSerum one year later and how amazing my skin is now! 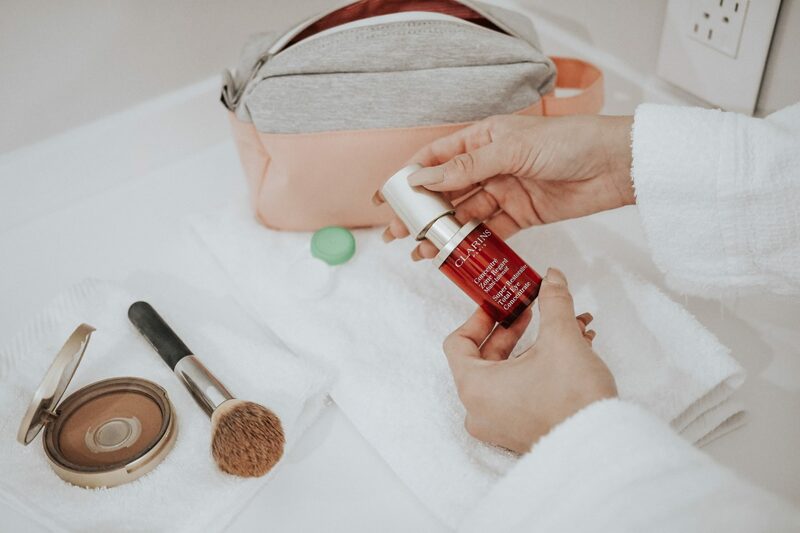 One year ago, I wrote a blog post introducing you all to Clarins’ new double serum. Click HERE to read. I told you my shocking skincare results after only seven days. Now, I’m back to tell you what my skin is like after using this product one year later! 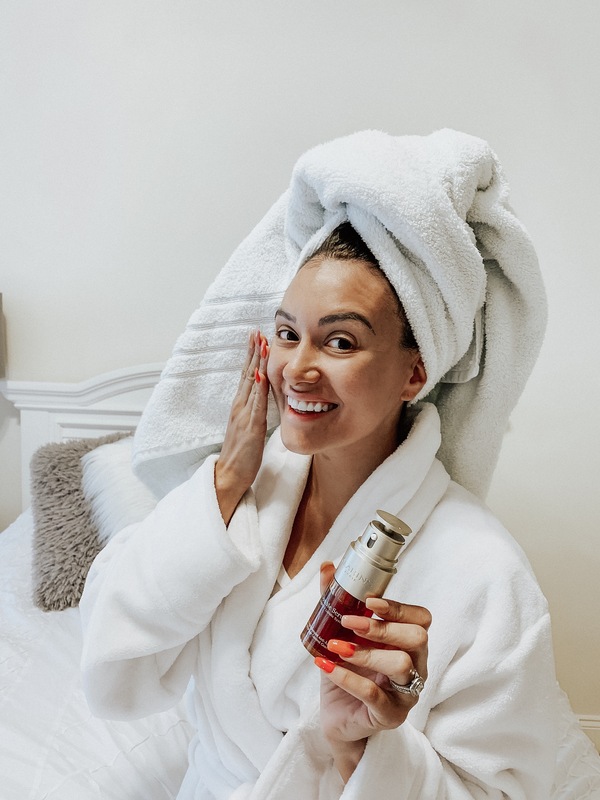 First, let me tell you all about Clarins Double Serum, the holy grail of skin care. At first, I was very skeptical about a product that promised results after only seven days. But I actually noticed a difference in my skin after only three days! 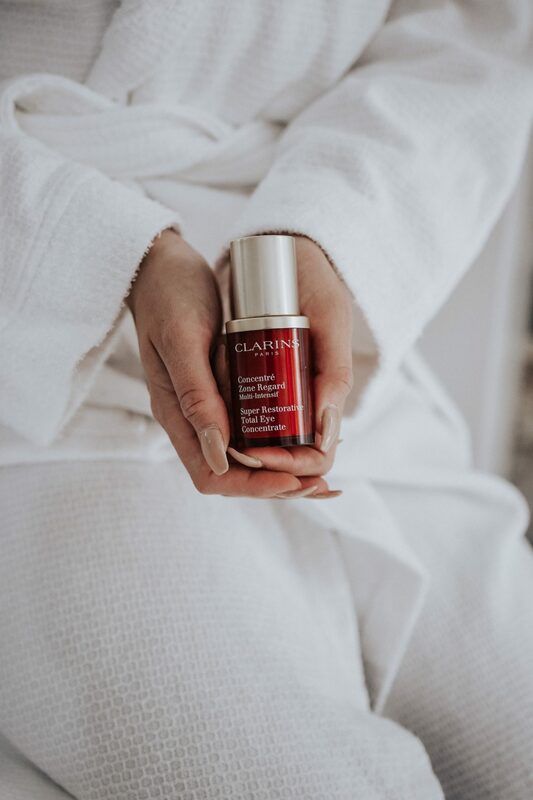 The best part about Clarins Double Serum is that its ingredients are all natural, plant-based ingredients that combine to improve skin texture, boost radiance, firm, tighten and even skin tone while fighting wrinkles for younger looking skin. The 21 skin nourishing plant extracts include turmeric, great for your body inside and out, to protect and restore skin. Another plus is that Clarins has formulated their Double Serum to be a perfect match for any age and any skin type! You don’t need problem skin to see the benefits of this amazing product. It also fits right into your normal skin routine! 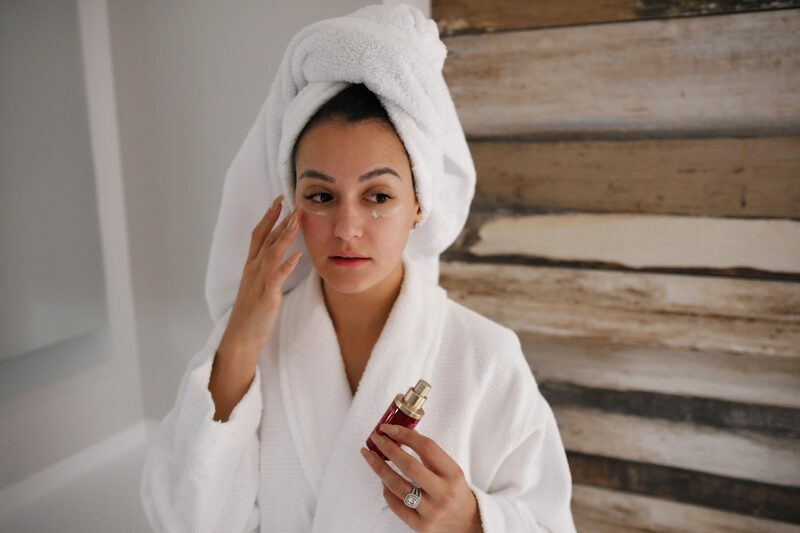 Right after cleansing and before moisturizing, use Clarins Double Serum and not only will your skin thank you, but you will notice your other products working better as well. One year later, Clarins Double Serum has changed the way I feel about my skin. I always try to remain transparent and honest when it comes to my skin, telling you all about my struggles with adult acne has made skincare a priority for me. I’ve noticed a drastic difference in my skin over the past year. I feel more confident going makeup free and I’ve been getting so many compliments on my glowing skin, which used to be one of my biggest insecurities! Having a consistent skincare routine has helped my skin tremendously improving the texture and overall appearance of my skin. Knowing that I’m using a plant-based serum gives me confidence knowing that I’m not using harsh chemicals on my skin. So, what’re you waiting for? Give Clarins Double Serum a try! Your skin will thank you. 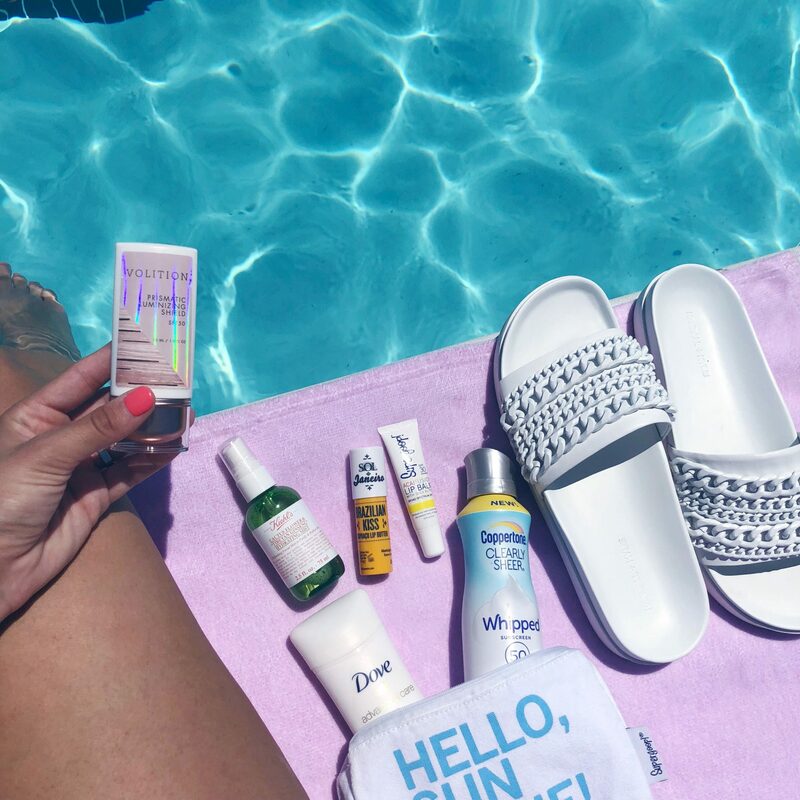 The best SPF’s for summer and ALL year-round! Supergoop is my absolute favorite. I’ve been using this one for 3 years and usually purchase it at Sephora. I love it because it’s not oily, there are no fragrances, and its water and sweat resistant! But make sure to reapply often if you’re going in the water. It combines broad-spectrum SPF 50 with micro-fine pearlized powder and sodium hyaluronate resulting in a sophisticated, moisture-rich glow. Use daily with or without makeup for beautiful skin. Kiehl’s is definitely one of my go to brands. This lip balm is so hydrating and has been Kiehl’s staple product since 1969! You really cant go wrong with any of their products! Another Kiehl’s product I love is the glow formula skin hydrator. There’s no spf in this one, so use an spf and then put this glow on over top. This gives your skin a shimmery look, perfect for that summer glow. It’s great for being out and about if you’re going back and forth from the beach or pool and has that natural looking no makeup look. Peter Thomas Roth is another one of my favorites. This one is perfect for travelling, and i always keep one of these in my car or suitcase. It’s spf 30 and the best part is that it’s not oily. I have naturally oily skin so its perfect for me! I love coppertone, and if you’re looking for an affordable yet quality sunscreen, this one’s for you. It’s Not greasy and the consistency is like a thick mousse. It comes out white but blends into your skin tone and absorbs really fast. The best part is that it not only protects your skin from the sun, but leaves it feeling soft and smooth! You can find this one at any local drug store, so it’s easy to find if you can’t pack it with you while you’re traveling.